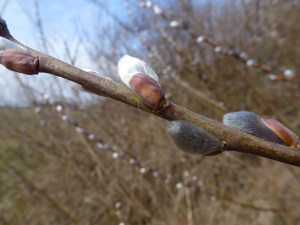 Observation - Goat willow - UK and Ireland. Description: Large spreading deciduous tree with low branches. Silvery white catkins. Large spreading deciduous tree with low branches. Silvery white catkins.